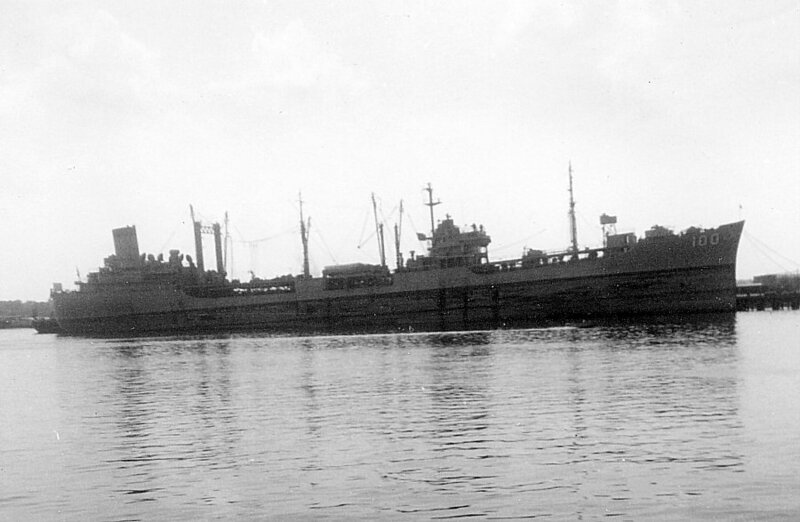 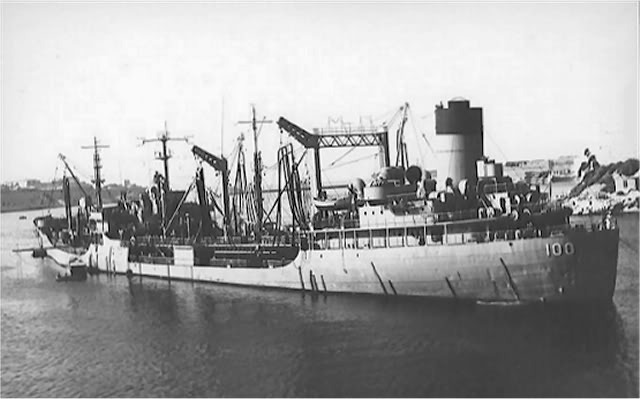 Laid down, date unknown, as a Maritime Commission type (T3-S2-A3) tanker hull, under Maritime Commission contract (MC hull 2562) at Bethlehem Steel Shipyard, Sparrows Point, MD. 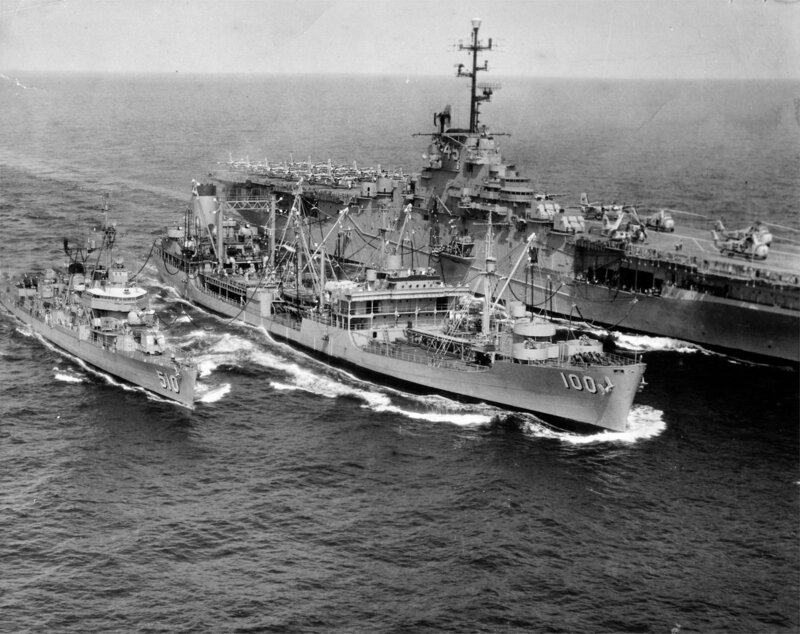 Decommissioned, 13 June 1972, Pier 2, Naval Station Norfolk, VA.
two turbo-drive 400Kw 230V A.C.
one Diesel-drive 150Kw 230V A.C.
382k USS Chukawan (AO-100) conducting an underway replenishment with USS Valley Forge (CVS-45) and USS Eaton (DDE-510). 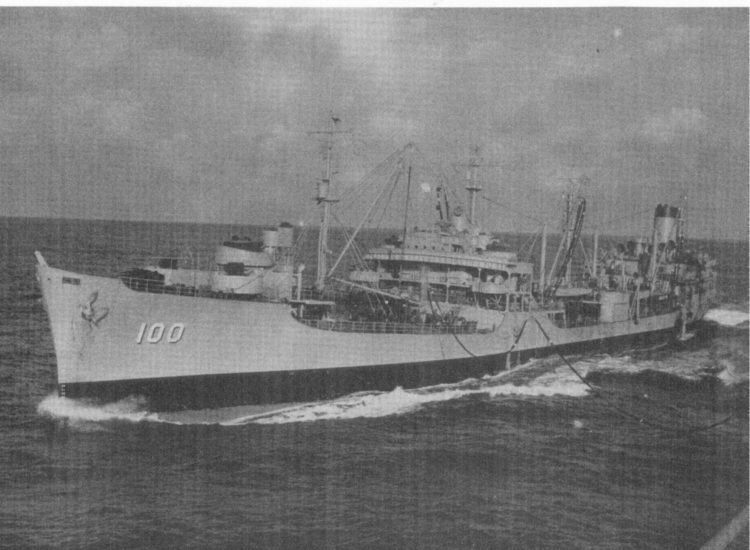 The location is almost certainly the VACAPES operating area off Norfolk, VA., Date is probably sometime in 1958-59. 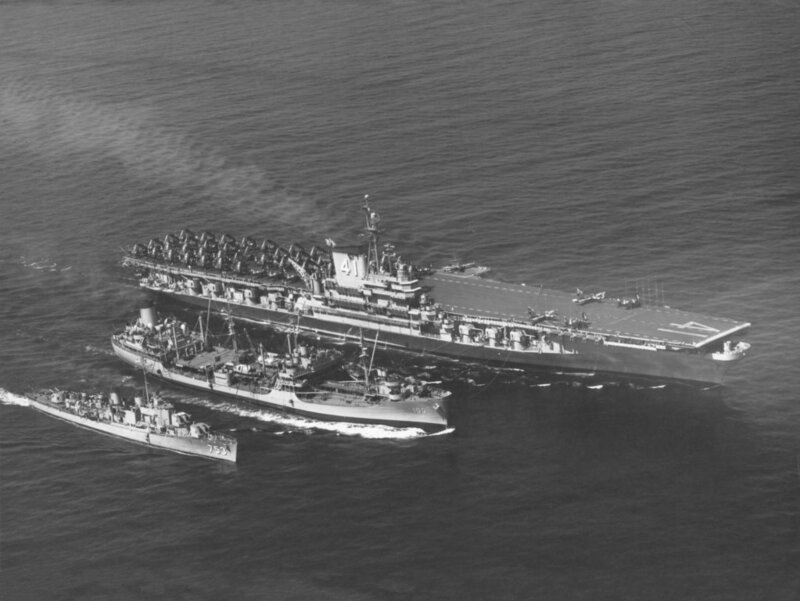 On the flight deck of Valley Forge just aft of the starboard helicopter is a lone Early Warning Configuration AD-5W Skyraider (Guppy) belonging to VAW-12 "Bats". 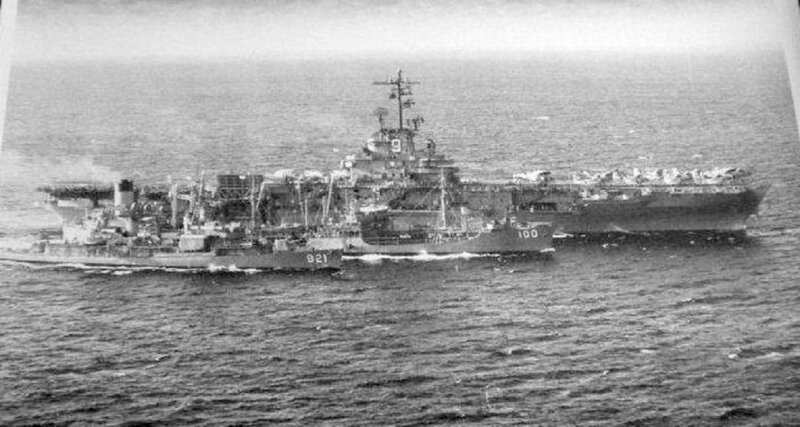 The helicopters on the forward flight deck are HSS-1 Seabat helicopters from HS-7 "Big Dippers". 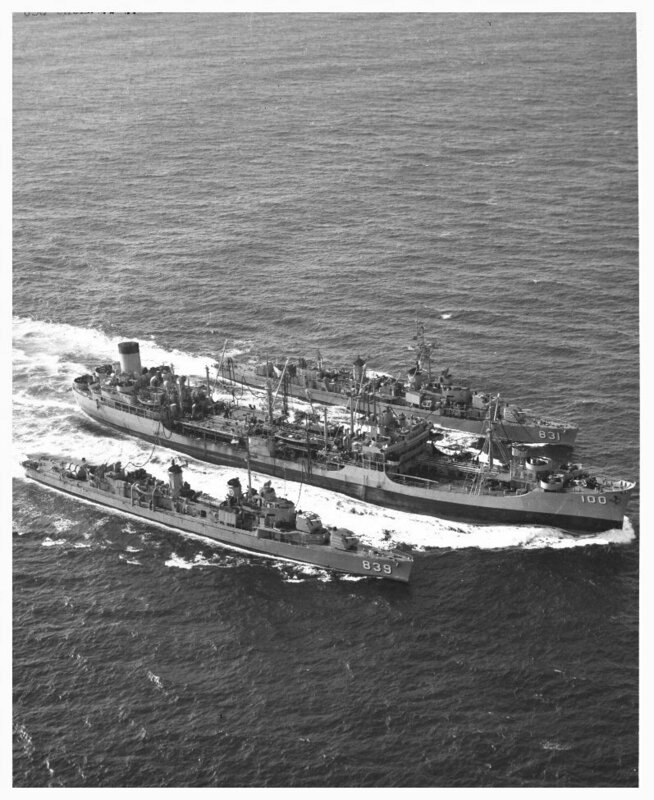 The aft flight deck is filled with S-2 Trackers belonging to VS-36 "Gray Wolves". 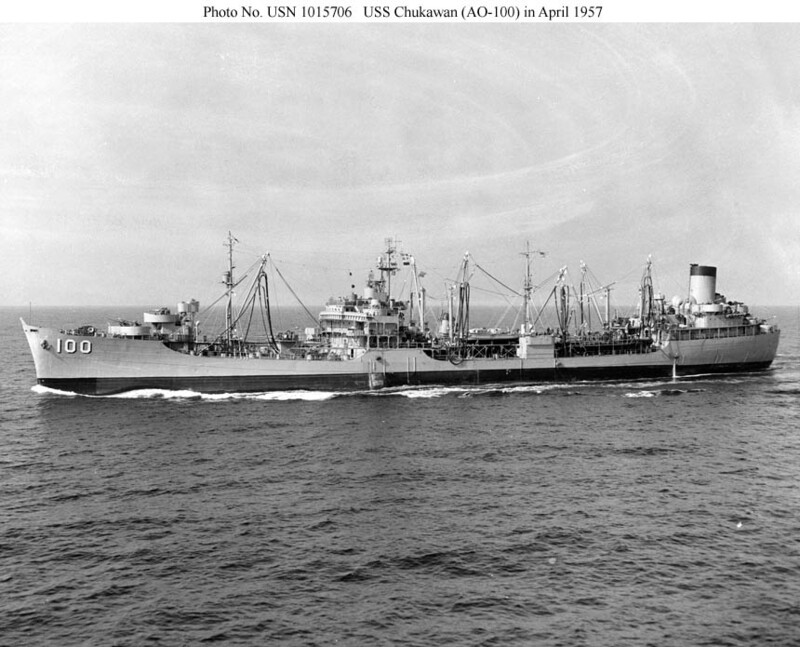 128k USS Chukawan (AO-100) under way in April, 1957. 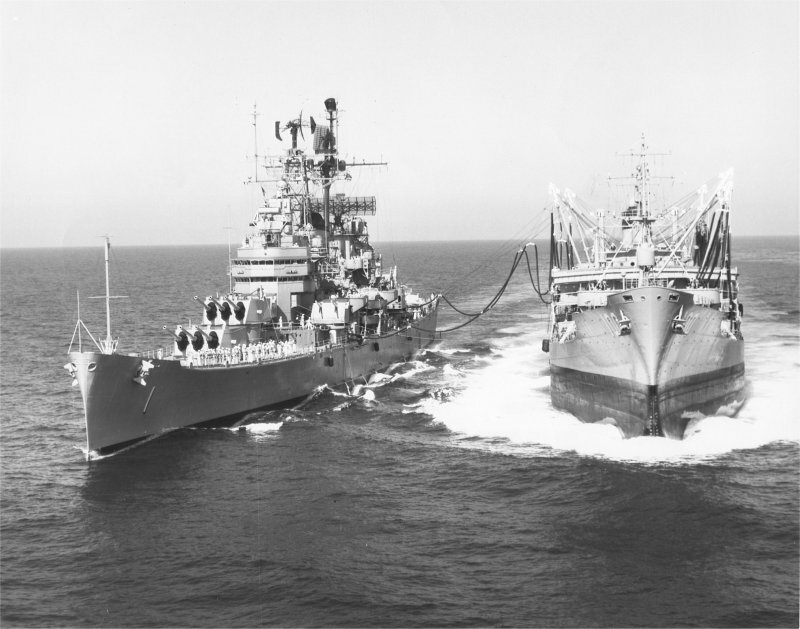 Note the hoses suspended from the booms at all four fueling stations to port. 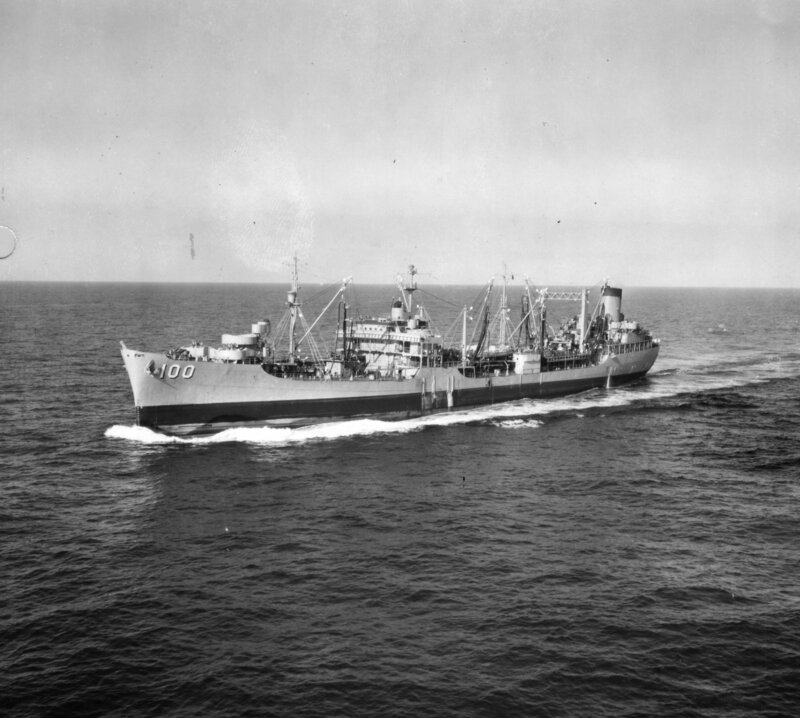 304k USS Chukawan (AO-100) underway in the Mediterranean, circa 1958. 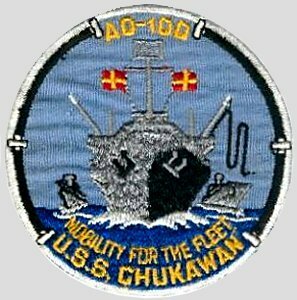 39k USS Chukawan (AO-100) at anchor, date and location unknown. 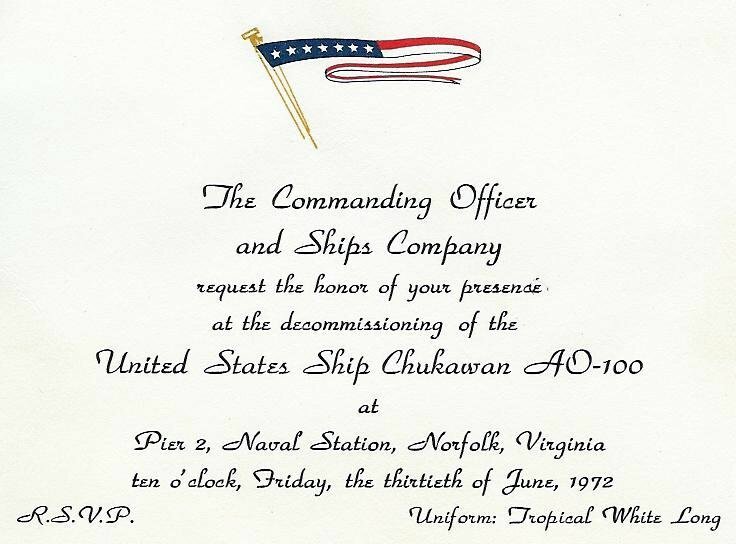 91k USS Chukawan (AO-100) moored pierside, date and location unknown. 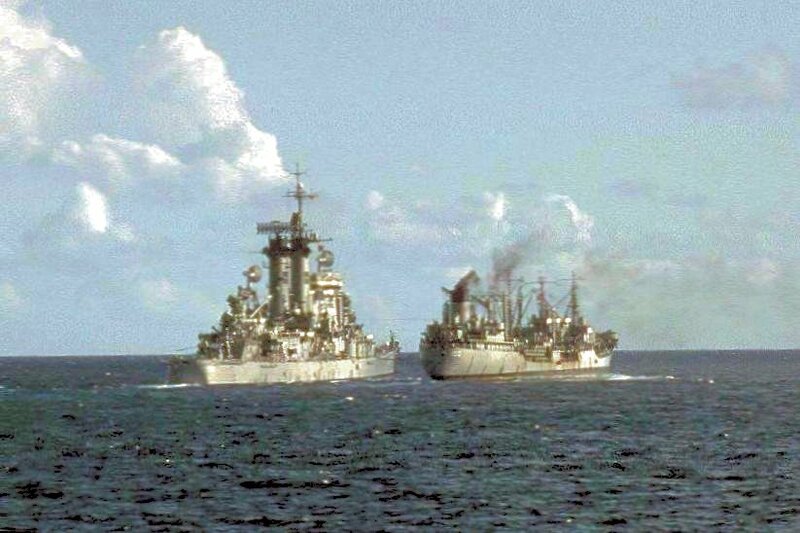 84k USS Chukawan (AO-100) refueling USS Boston (CAG-1) while operating in the Mediterranean, 15 September 1962.